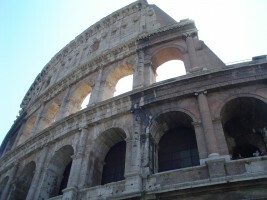 With such a long and rich history, the Colosseum is a must-see. Getting to the Piazza del Colosseo is easy – it has its own subway (metro) stop. Once there, the only thing as visually striking as the Colosseum itself might be the line to wait to enter. 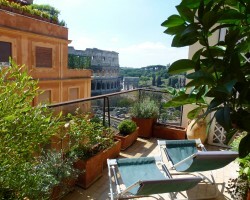 For some of the best views ever, you can stay at Italy Perfect’s Imperial Vista or Magnifico apartments. 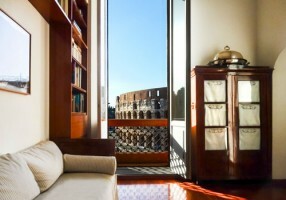 Both enjoy straight on Colosseum views that you can enjoy to your heart’s content. When to visit? Some of the best advice for visiting such a popular attraction is to go early. In the busy season you can face hours waiting in the hot Roman sun. While this gives ample time to admire the architecture, after about 10 minutes the wait loses its charm. There are, fortunately, numerous options to let visitors skip the line and go straight in to see the real attraction, but only if they are willing to spend a little extra. 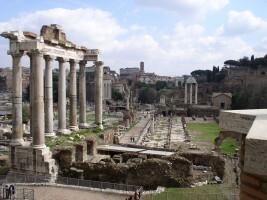 Many of the options include visits to both the Colosseum and the Roman Forum – yet another major attraction, the Forum is the ruins of Rome’s ancient center, thus these deals are perfect for the history buff in all of us. Once inside, pause to imagine the stands filled with 50,000 spectators. The floor of the arena has deteriorated, exposing the network of hallways below where competitors would have waited beside cages of ferocious animals, all queued up to entertain the masses. Were they wondering what letter would soon be posted near their name to announce their fate? “V” for Vicit – victory – or “P” for Periit, failure and death? Perhaps an M. for Missus, meaning they had lost but survived to fight another day. For those who considered forgoing the Colosseum when they heard the words “go early,” the Colosseum is equally impressive at night. Viator offers a variety of options similar to those available during the day, but these will allow the night-owls of the world to sleep in and still see all that the city has to offer. 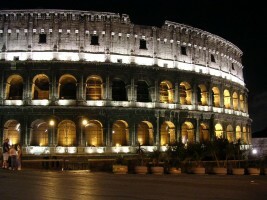 Make it a full evening event by trying out a restaurant near the Piazza del Colosseo. Tripadvisor offers a list of places to try – Café Café offers lighter fare, while the Cremeria don Pepe stays open until 2am, giving visitors the option of a treat after their tours. Photos by Sebastian Staub, Bjarki Sigursveinsson, rmceoin, and Carla Tavares.